I haven't reviewed about these wacky drop candies from Sakuma in a while so today I will be reviewing 2 flavors of these candies, the Okonomiyaki flavor from the city of Osaka, and the pudding flavor from the city of Kobe in Japan. I ordered both of these with my last order with JList.com. I was excited upon seeing this particular flavor in their catalogue as I love caramel pudding so I knew I just had to try this out, and I wasn't disappointed. Each piece of candy was bursting with sweet goodness with a hint of pudding flavor. 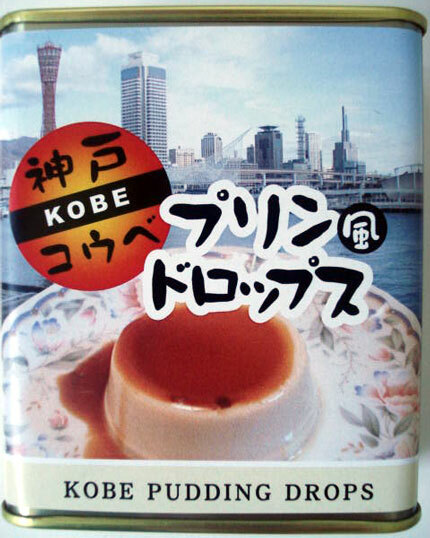 Kobe is famous for its beef dishes, but their pudding is also popular, Kobe pudding has a rather different taste to typical caramel pudding, it tends to be less sweet because a bit of liquor is often added to the caramel sauce, so it's sometimes not suitable for kids, but rather for adults. 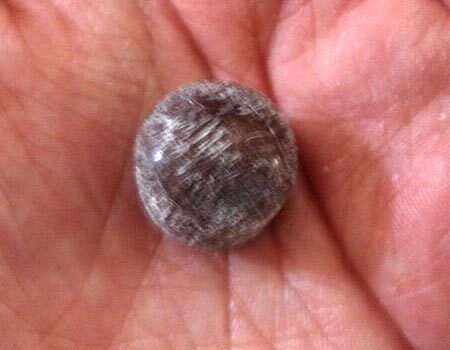 However, the taste of liquor was nonexistent in these candies or perhaps it was never added to begin with, probably because the makers at Sakuma want these candies to be kids-friendly. 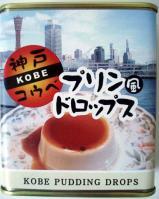 Overall these Kobe pudding drop candies were packed with good sweetness, a little less accurate in the flavoring, but nonetheless, candies are suppose to be sweet and these were no doubt lovely & sweet. well, there's not much to comment on this one, the taste was really no different to the Takoyaki flavor that was rather inaccurate and odd and didn't really taste like Takoyaki at all. 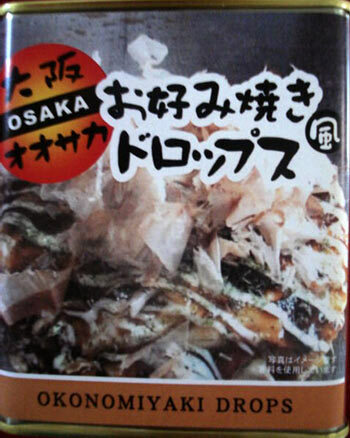 These Okonomiyaki candies were also rather inaccurate in the execution of the flavors, and left a somewhat peculiar aftertaste in my mouth which wasn't particularly pleasant. Overall these okonomiyaki drop candies were disappointing in terms of execution and no where near as good as the Kobe pudding flavor. here's a lovely goodie I got from NapaJapan, it was part of an order I made with them some months ago. I expected nothing less of the manufacturers in Hokkaido, Hokkaido produce are really some of the best quality foods & sweets you can find in Japan, with that said, they're some of the best in the world too! here's another goodie I ordered from J-List.com, and it's another container of drop candies from Sakuma! Upon seeing the vast majority of Sakuma candies being sold out on their site, I took the liberty of ordering up as many flavors of these Sakuma candies still in stock from their site, and I ended up ordering 4 remaining different flavors. 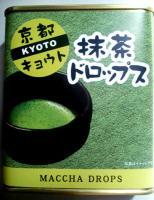 Aside from the Choco Banana crepe flavor I reviewed a few weeks ago, this is the Matcha flavor from the city of Kyoto; the oldest city of Japan, which is the home of many legacies of Japanese history & culture as well as serving as the capital city of Japan up until 1869. I love Kyoto, it is one of my favorite cities in Japan besides Tokyo, Osaka and Nagoya, as well as being one of my most favourite places in the world to visit! For those who aren't familiar with Matcha, it is a type of Japanese green tea which is fine powdered, it's very high-end and is the staple in traditional Japanese tea ceremonies. Because matcha is very rich & bitter in flavor, it is typically served with sweets that are particularly sweet to wash down the bitterness of the matcha. Matcha powder has also become a very popular flavouring used in traditional Japanese sweets such as Wagashi, as well as ice cream and western-style sweets & confectioneries. Matcha powder itself is generally quite expensive just for a less than decent amount, so unless you're rich, it's typically bought for special occasions or not so often. this was one of the flavors I was most excited about, but I have to admit that I was a little apprehensive at first, having drank matcha a couple of times in the past, and really liked it (when served with sweets) I was a bit worried about having too much matcha content infused into the candies which would result in the candies being too bitter. But I need not to worry because the matcha flavor turned out to be rather subtle...so much so that I actually felt there just wasn't enough of the rich bitter Matcha infused into these candies. I was a bit worried initially about the matcha flavor being too concentrated, which would have made the candies too bitter...but in the end, as it turned out, the matcha flavor was actually not enough, it was too subtle for my liking, so that was a disappointment for me. I wanted a good balance of the sweetness of the candy with the bitterness of the matcha. It's been months since I last blogged about these wacky drop candies from Sakuma, so I decided it's high time I brought the attention back to these fascinating candies, and this time I'm going to shine some light on another sweet food-inspired Sakuma candy. as soon as I opened the tin, my senses were immediately welcomed by the sweet smell of chocolate, which took me by surprise. I eagerly popped a candy into my mouth and was further pleasantly taken aback by the accurate sweetness infused into these candies. The sweet aroma and taste of chocolate was surprisingly strong and accurate, the flavor of the banana was also detectable by my taste buds. Initially the flavor of the banana bear much similarities to artificial flavoring, however I dismissed the probability of the use of artificial banana flavoring when the natural somewhat slight bitter aftertaste of banana kicked in. Since artificial banana flavorings do not leave any natural aftertaste. Among all the different Sakuma flavored drop candies I've tried over the years, I think these choco banana crepe flavored candies are the most accurately executed in terms of flavor, as well as 1 of the best in my opinion. 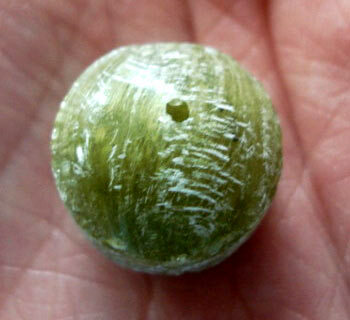 This has also become my new personal favorite Sakuma flavor candy just slightly trumping the Cheesecake flavor. One might find it odd that I dislike caramel and tend to avoid any sweets that contain caramel, and yet I continue to buy these traditional caramels from Morinaga. The main reason for this is because there's just such a array of interesting flavors for these Morinaga caramels and more new flavors released every year, there's matcha flavored caramel, pudding flavor, even coffee caramel, I've also reviewed about the Milk and Azuki flavors. But another reason is because ever since my first delightful experience with the milk flavor, the unusually soft, creamy and non-sticky texture & consistency of the caramels, I've been hoping, just hoping that I'll be able to experience that same soft and melty texture across the range of Morinaga caramels...unfortunately, all the subsequent flavors I have tried have been rather disappointing, to the point when I was on the verge of sticking to just the milk flavor...but, I haven't given up hope yet. 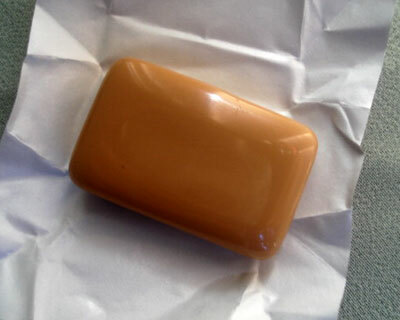 as soon as I popped the first caramel into my mouth, my shoulders dropped that instant, same hard and sticky texture as typical caramels, once again very different texture & consistency to the milk caramels, and the sweet potato flavor was too subtle, but still detectable. I think this one was worse than the Azuki flavor...with the azuki caramels, at least the caramels were infused with a generous amount of azuki flavor. 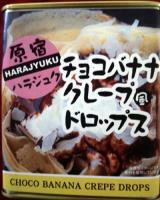 But with these Yaki-imo caramels, the flavor of the yaki-imo was too weak for my liking. Once again, I'm left rather disappointed. It's been so many months since I last blogged about these legendary but always fascinating candies from Sakuma, the last Sakuma drops candy I reviewed was the Takoyaki flavor back in March. If you've followed this blog for a long time, then you might remember I had pointed out before that Sakuma mostly draws their inspiration from various Japanese savory foods and cuisine, although they have released a couple of sweet food-inspired candies too. The number of different flavors for these Sakuma drop candies available are in abundance, and ever so growing with more new flavors added each year. Hiroshima prefecture located south-west of Honshu (Japan's largest and main island) is the birthplace of the famous Japanese savory pancake dish Okonomiyaki. But it's a lesser known fact that Hiroshima is also famous for another popular dish called Anago-meshi, which is basically broiled conger eel on top of rice. 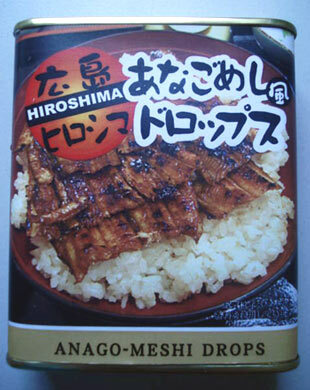 Hiroshima was one of the destinations I was fortunate to visit during a trip I took to Japan about 3 years ago, had several pleasant experiences with this dish while I was in Hiroshima city and since then I've been quite fond of Anago-meshi. Anyway, what a love about this particular sweet rendition of the dish is that the people at Sakuma managed to capture just the enough amount of flavor of Anago-meshi and infused it into each small candy. Because this was a rendition of a savory food, the amount of sweetness of each candy is slightly reduced, giving you a pleasant but not overly sweet candy. 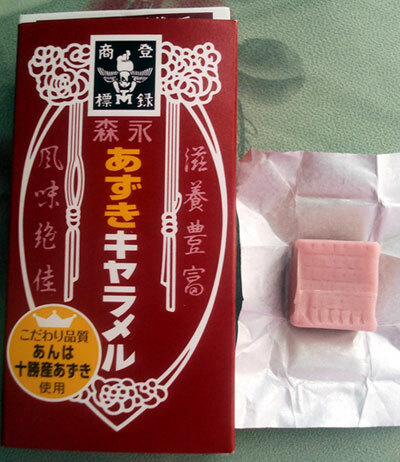 Personally, I thought the balance of the Anago-meshi flavor and the sweetness of the candy was just right for me, I wouldn't want the Anago-meshi flavor to be any stronger than already infused into each candy, after all, this is still a confectionery. Among all the savory food-inspired Sakuma drop candy flavors I've tried so far, I think I like this Anago-meshi flavor the most. These traditional caramels from Morinaga have a VERY long history, they are one of the most recognized and oldest Japanese confectioneries ever produced, its history dates back to 1897 when these traditional caramels were first produced in Japan during the Meiji Restoration! That makes these Morinaga traditional caramels 114 years old! 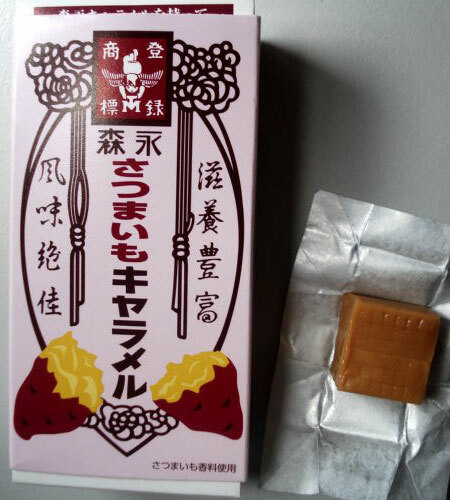 With the Milk caramel being its debut flavor, it wasn't long before these traditional caramels found its way in every shopping basket across Japan. For many generations, Morinaga's famous traditional caramels have been a very popular family treat, in recent years, you'll find an array of different caramel flavors. After my delightful first experience with the Milk caramel flavor, I was eager to dig into a new flavor, so for my second try of these famous caramels, I picked the azuki (red bean) caramel with much excitement. 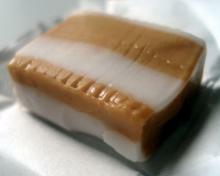 Each piece of these caramels had a relatively hard and chewy texture, which is how most caramels typically are anyway. But, for me personally, that would be the problem. As I have mentioned numerous times in my other reviews in the past, I am not a fan of caramels, because I dislike the stickiness of typical caramels. What makes Morinaga's Milk caramel an exception is its unusually soft, chewy but much less sticky and almost instant melt-in-your-mouth texture that really blew me away the first time I tried them! Because of its much softer, creamier and melty texture, they did not stick to my teeth (which is the main problem I have with typical caramels). With these qualities satisfying my taste buds, Morinaga's milk caramels are certainly on a whole new different league to all those typically hard & sticky caramels I've tried and sighed in disappointment on over the years. It was this sensational experience I had with the milk caramel that prompted me to have another indulging session with Morinaga's traditional caramels, as I had assumed, well, more like hoped, that the unusually pleasant texture was the pivot across the entire range of Morinaga's tradition caramel flavors. But in all honesty, I'm left quite disappointed with this particular Azuki flavor...mainly because of the texture; it was not much different to other typical caramels I've tried in the past (and don't like); hard and sticky, worst nightmare for your teeth. 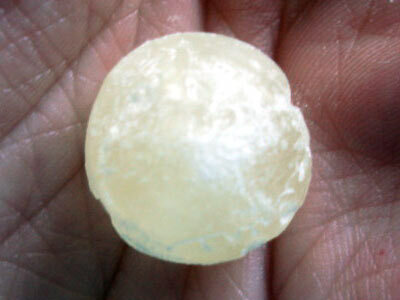 They were nothing like the soft & creamy and non-sticky texture of the milk caramels, so that was a big turn-off for me. Its only redemption in my books was the azuki flavor, there was quite a generous amount of the sweetness and essence of azuki beans infused in each piece, which was pleasant to my taste buds. But if you are one of those people who like caramel in general, then you'd love these Azuki caramels, and perhaps more so than I did...the only aspect I liked about these azuki caramels is the pleasantly generous amount of azuki flavor. But to each their own. 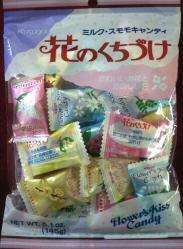 Here's another pack of goodness I bought from my last trip to Tokyomart; 'Flower's Kiss' candy from Kasugai! what initially captivated my attention about this candy while I was wandering along the stacked sweets & candy aisle of the grocery was the beautiful and colorful packaging. Intriguing, I picked up a pack of these candies and read the label that said "Flower's Kiss Candy", I thought in my head "what a attractive name!" and fueled my fascination even more, so without hesitation I put the pack in the shopping basket. As I got home, this pack of 'Flower's kiss' candy was one of the goodies I was most eager to dig my fingers into! 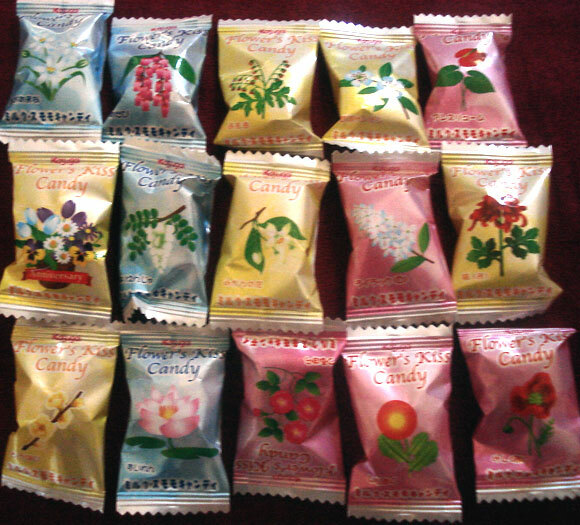 As I opened the pack and sorted through all the little individual packets of candy, I noticed that there were a total of 15 different kinds of pretty flowers printed on the packets along with the names of the flowers, with some of the same flower prints printed on several packets. I eagerly grabbed one of the small packets, opened it and popped the candy in my mouth, my taste buds were immediately welcomed by a pleasant sweetness, yet with a slight refreshing taste. However, I could not smell or taste any flower scent coming from the candy, it was either too subtle to notice, or completely non-existent, which was a bit of disappointment. But, I was still quite satisfied with the pleasant sweetness of the candy, and so were my taste buds. As I happily relished the sweetness of the candy, the notion immediately came to me as I examined the rest of the unopened individual packets before me, that perhaps each candy has a different flavor that corresponded to the different flower printed on its respective packet. So immediately after I finished the first candy, with the flavors still so vivid and familiar to my taste buds, I picked up another packet that had a different flower print on it and popped it into my mouth. Disappointingly however, the flavors were exactly the same as the previous candy, which made me realize that my notion was incorrect, and that the different flower prints were merely there for added attractiveness to the packaging. Honestly, I think naming this candy "Flower's kiss" is a bit misleading, with a name like that, the candies should be at least infused with some level of flower essence, but I could not detect any in these candies. The essence of flower was either way too subtle to detect by my human senses, or it was completely non-existent. If it was the latter, then the label was indeed misleading. Another disappointment was the fact that the candies all tasted the same, I would've liked it more if there was a bit more variety. 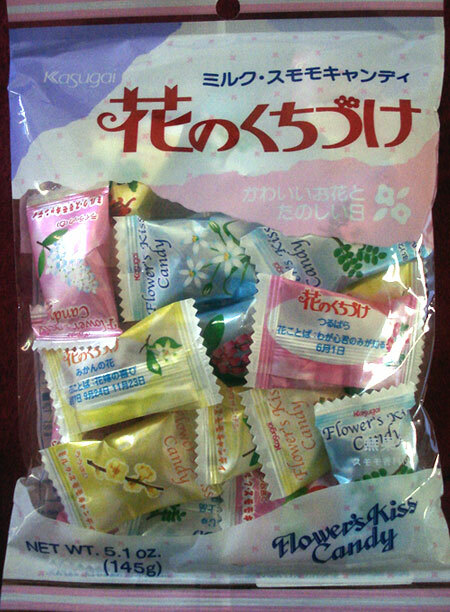 Overall, despite its disappointments, these "Flower's kiss" candies from Kasugai to have their good points...even with the failed attempt at capturing the flower essence, each candy was infused with plenty of lovely sweetness, and I give extra points for the beautiful packaging. I've known about 'Puccho' for quite some time now, I've read reviews for these gum-like chewy candies from UHA on numerous other blogs over the years, and I just so happened to come across these Puccho candies being sold at one of the local Asian groceries around my neighbourhood last week, so I decided it's about time I give this brand a try myself. each piece of the candy had a nice chewy texture like caramel candy without the stickiness, and the cola flavor was very rich and accurate. There were also some fizzy bits embedded in each piece to further compound the cola flavor and give it that 'fizziness', which I thought was a nice touch as the experience was almost like you're drinking fizzy cola. However to be perfectly honest, even with its good points, for some reason there was nothing about these Puccho cola candies that truly "wowed" me. I can't really pinpoint the problem...I liked the rich cola flavor and the addition of the fizzy bits was a neat enhancement. I guess I simply don't find anything particularly special about it. What can I say? The guys at Meiji have done it again! 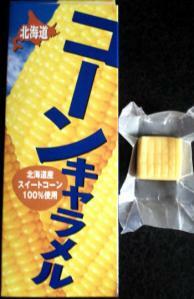 Sweet, smooth and creamy texture candy with rich butter taste, it can't get any better than this! These candies were absolutely delectably irresistible! I regret only ordering one pack, I should have ordered 10 packs all in one go! This is how great these candies are! 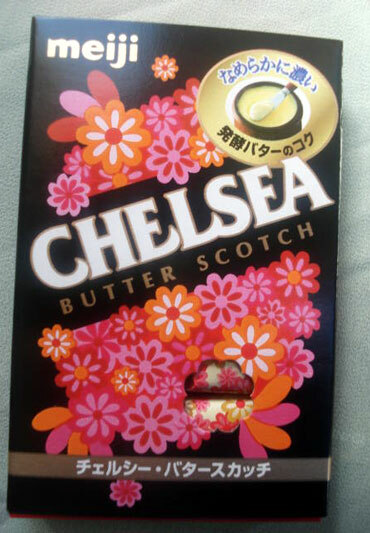 Meiji can do no wrong with their 'Chelsea' scotch candies (except maybe the yogurt scotch, then again it depends on personal preference), and I have loved just about every Chelsea candy flavor I have tried! But I think it's safe for me to declare that these butter scotch candies are definitely the BEST of all the Chelsea candies I have tried so far! And maybe even the best candies I have ever tried overall! No, I'm not exaggerating! Although, I did notice that the taste and texture of these butter scotch candies are strikingly very similar to the German Werther's Original caramel candies, but it was brought to my attention that these Chelsea butter scotch candies are often regarded as a "deluxe version" of Werther's Original. 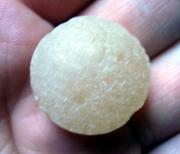 And I certainly agree to that, it may have a similar taste and texture to Werther's Original...only it's even better! a enthusiastic foodie from Australia! I like to review & critique about various food, sweets, snacks & drinks I have tasted/tried based on my OWN personal opinion & preferences. So you may not agree with some of my opinions & ratings. Although the 'Kit Kat' confection originates in England & is produced worldwide by Nestlé (and Hershey in the US only), most of the KK bars I review about are Japanese flavours from Nestlé Japan. 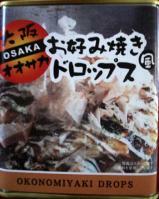 Copyright © Oishii food delights All Rights Reserved.